I used to be a supporter of the X4 but I am no longer. First - most phones allow the transfer of applications to the SD card. The X4 doesn't. Given that system files take up 28 of a 32 GB phone there is nothing left (even with all media files moved.) My apps won't even update anymore without my individually going through each app and deleting the cache. Second - latest Android update removed the ability to connect the phone to my PC. It's not even recognized as a USB device. These are real problems Moto. My phone is fairly new but beyond the return period otherwise I'd return it. Welcome to Android Central! Are you talking about the Move to SD feature in the Settings>Apps menu, or are you talking about Adoptable Storage (i.e., the ability to format the SD card as Internal Storage, rather than Portable Storage)? When you connect the phone to your PC via USB, swipe down the notification panel. Do you see the USB icon there? If so, tap it and make sure MTP is selected. If you don't see the USB icon, have you tried different USB cables? 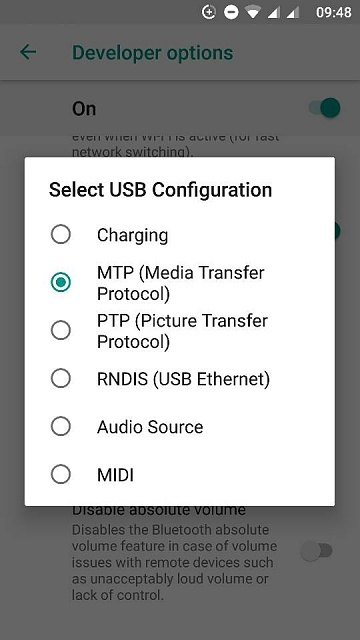 About the USB connection problem, if B. Diddy's solution didn't work you could try changing the USB configuration in the Developer Options, select MTP and restart the phone. About the SD. In most recent phones, like Moto devices, the only way to move apps to SD was formatting the card as adoptable storage. Unfortunatey this option is not compatible with file based encryption, the system used by the X4 among other devices. In general adoptable storage is available in less and less devices due to security and performance issues and native settings like in some Samsung devices are not so popular. It's strange that system takes so much storage in your phone. What model do you have? In all Moto X4 models that I've seen or heard about there are at least 18GB free for user with system and preinstalled apps taking about 13-14 GB. On top of this, Lenovo/Moto's implementation of Adoptable Storage has apparently been fairly buggy. I've seen complaints on the forums quite a number of times about Lenovo and Moto devices still saying they're low on storage despite having an SD formatted as Internal Storage with plenty of space left. Exactly. I think this feature was intended for entry level phones with low storage. It is too risky for my liking and in some cases only a factory reset fixes the problems after an adopted card starts to fail. Even Motorola removed it from their top midrangers (X4, G6 plus ...). Switch from S9 to pixel 3?